The last Datacolor calibrator that I used was the Spyder4PRO and for that most part, it was actually pretty good. I did eventually move onto to using the X-Rite i1 Studio which I think is absolutely brilliant. More recently I've started to use the new SpyderX PRO and aside from the color, I'm actually quite impressed. 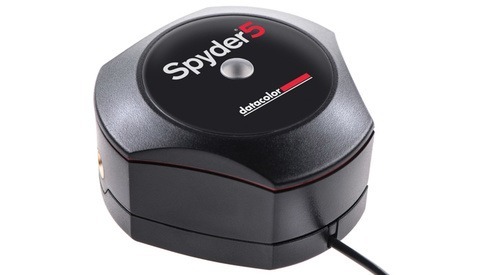 As with most Datacolor calibrators, the SpyderX isn't very different in terms of design. 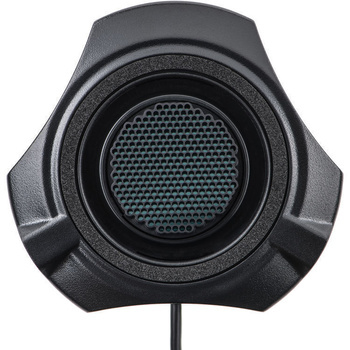 The overall shape and design is almost identical to the Spyder5Pro. 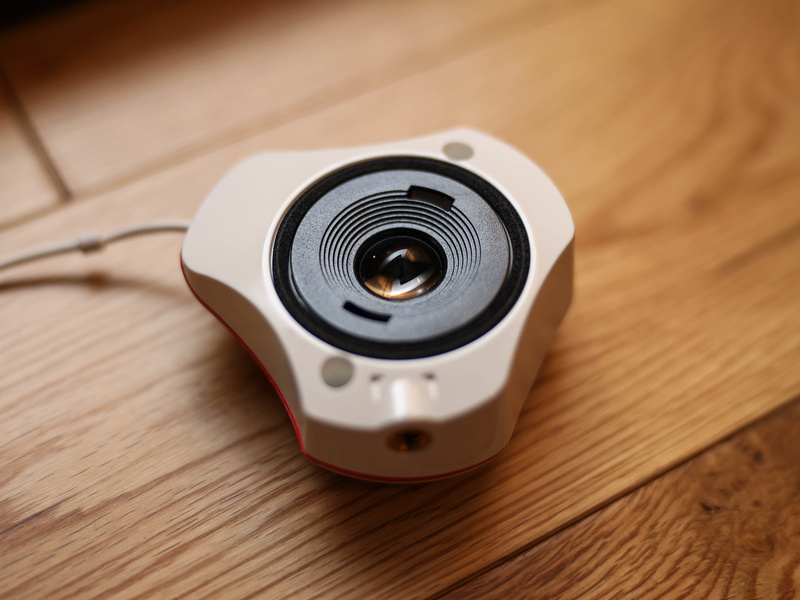 The biggest physical change between the two calibrators is that the SpyderX now uses a lens based system. Personally, I think this will probably make it easier to clean and can prevent any dust or debris getting into some of the crucial sections. I'm also led to believe that this new lens design system has allowed Datacolor to increase performance by a significant degree; hence the bold new claims about the calibrators speed and accuracy. Aside from the lens, there are no significant changes when it comes to the design and I don't think this is a bad thing. Based on my use I found the SpyderX to be very easy and straight forward to use; far more so than the i1 Studio. One of the things I really like about the SpyderX is the fact that the "cap" to the lens also acts as a counterweight. This is very useful when you're trying to align the calibrator to your monitor and ensure that it's pressed up against the screen properly. the i1 Studio was just a little bit of a pain to use in comparison because it requires you to use a soft, weighted case in order to attach it to your monitor. Based on that, the usability factors are already much better with the SpyderX. Speed is something that Datacolor has really promoted quite heavily about the new SpyderX. It's true that most calibrators you buy today tend to take a good amount of time to complete full calibration. For many people, time is valuable and in most instances, any product that can produce results in a shorter period of time is generally a better product. 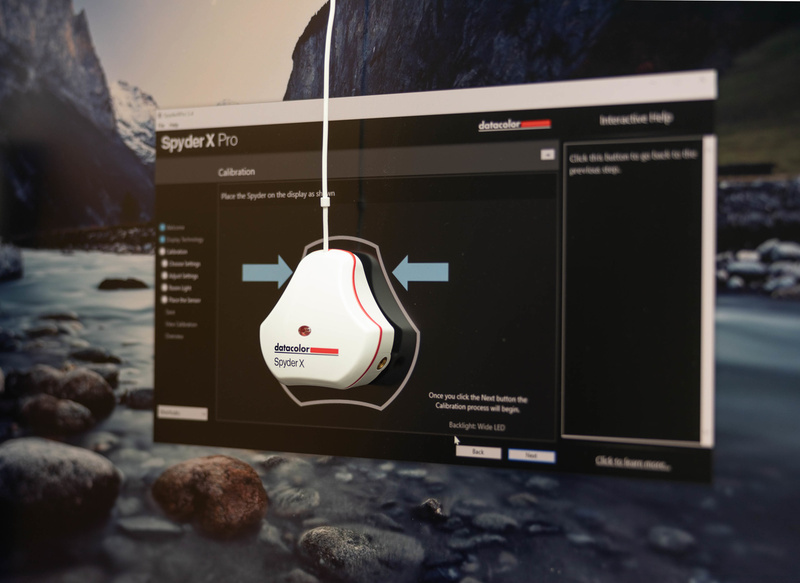 The time you spend calibrating your monitor could be time spent doing some work and for that reason, the speed of the SpyderX is clearly an advantage. 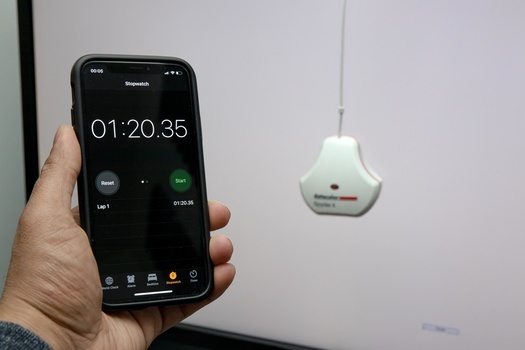 in my testing, I found that the SpyderX is able to perform a full calibration in approximately 1 minute and 20 seconds. This is significantly faster than any other monitor calibrator that I've ever used. 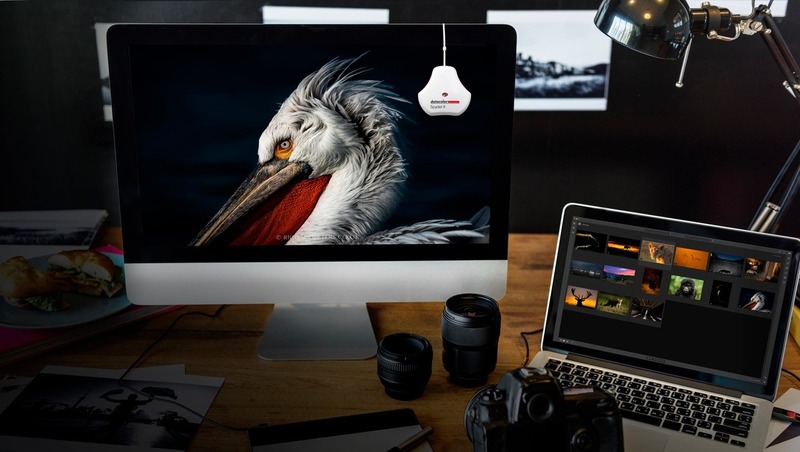 Datacolor is definitely not exaggerating the speed improvements of their latest calibrator and I think there may be photographers out there who will properly benefit from this. This is especially useful for those of us that have multiple monitors and displays to calibrate. the time spent trying to calibrate multiple monitors is where the savings will really occur. For most people who use a single display, I don't think this speed improvement is a significant advantage. I'm not certain if it's worth upgrading previous models just because of the speed improvements if you only own a single display. The reason I say this is because for the most part, whenever I've been calibrating a single monitor I would just let it run while I go make some coffee or take a break. I've never sat in front of my screen waiting for a calibration to complete so I can continue doing some work. It seems to me that most photographers tend not to either. Sure the speed improvements are a benefit, but, I can't see how it's a significant benefit for most photographers. Color accuracy is another thing that Datacolor were boasting about their latest calibrator and I think this is a difficult one to test. Without using specific scientific methods there's no real way to quantify this claim. Compared to the i1 Studio both are performing really well and produce what I consider to be accurate and pleasing calibrations. Both systems tend to offer brilliant results and I don't think either one is causing any issues to my workflow. When it comes down to the actual results, honestly there isn't much in it when comparing different calibrators of a certain caliber. In real-world use, most of us are probably not going to be able to tell results apart from different calibrators. Unfortunately there just isn't a feasible way for me to scientifically test precisely how accurate the SpyderX is or any other calibrator for that matter. What I can say is that the SpyderX is an excellent calibrator and one which I do recommend. Nothing but extremely minor nitpicks which aren't worth mentioning. I believe the speed improvements of the SpyderX have been somewhat overstated and although it is useful for some, it's probably not going to be useful for many. 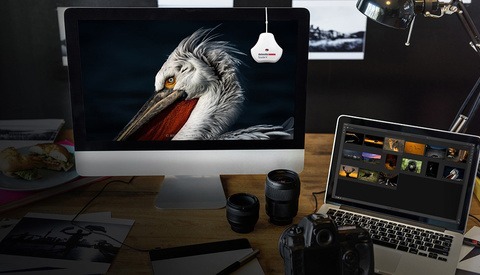 The true benefit of the Datacolor system is their software and how easy it is to use their calibrator. Everything is incredibly intuitive and this is where the real value is. For this reason, I have completely switched to the SpyderX Pro and I highly recommend it. In most of the pre-press industry, I've primarily seen X-Rite used in color calibration and proofing. I always wonder what happens when you deal woth a client using a different calibration system? I question the value here other than having a standard calibration for your own work I don’t see it. And I’m not aware (uneducated maybe) on how fast monitor calibration drifts in current day monitors. I don’t suspect much over the first few years if any. But I’ve no idea. So why calibrate? Unless you’re in control of the destination monitor(s) it seems futile. I'll agree sometimes it can seem futile. However, given that every one else' uncalibrated monitors can bit a bit blue / red / magenta / green / dark / bright... we need to be sure that at least our monitors are slap bang in the middle. THIS is why we calibrate, to be sure that the source doesn't introduce a bias. As to how fast monitors can drift, I've had some Apple displays drift over the course of the day, whilst others say stable for weeks. The problem is that with small incremental drifts, we become unaware of the subtle changes over time and next thing we've got an inaccurate monitor. I use an Eizo GC319X, which is incredibly accurate and very stable. (I created a reference calibration to check against and it is still holding identical to new calibrations after months.) But I still do a calibration before each and every new job, just to be very sure. It breaks my heart when I see my work on badly calibrated monitors - but the best I can do, is knowing it leaves me the way it should. This is good if not great example that I wasn’t considering. Seems obvious now that you pointed it out. Being a gadget guy I have to think on this more. Maybe there’s enough here to get me to pick one up. Just don’t tell my wife. "I've had some Apple displays drift over the course of the day..."
I must say I've never seen that. What I do see is color shifts across the screen over time. Top is normal, bottom is slight magenta. Other orientations of that as well. Each monitor is different. If you print but don't calibrate, your prints will look odd is one excellent reason to calibrate. Really, it doesn't matter who sees it at the other end. The point is that you've processed your image as close to color reality as is possible. You can't control what's at the other end, but you can control your end. I do a lot of printing and take it pretty seriously, whatever that means. LOL. But I don’t understand the value here either. What I mean is when the print is “final” it’s final. Regardless of “official calibration” or not; I’ve got it to where I love it. Knowing my printer from hundreds of prints the biggest issues I encounter is b&w printing. Darks too dark or whiter too white etc vs on screen. But at this point I can look at an image and predict the required brightness adjustment for print. I guess I’ve not experienced enough monitor calibration drift to have any impact to my end result. On my screen or print. Even with images I made 5yeara ago. For simple monitor calibration I think any will do. Most don't need more then basic device. I don't find Datacolor any better then x-rite in any way. I actually do print and my clients print the files they purchase. So a correctly calibratet and adjusted monitor is a requirement to adjust images for print. Also even the latest printers are so we'll calibrated for there papers that color calibration is strictly not required, to calibrate paper is a part of it. If you only work on the web then making micro adjustment to colors and a lot else, is overkill. But print large and so much surfaces. To be able to get a good workflow is important. The X-rite device I use works ok for printalso, but does not give a lot of room for fine tuning. Datacolor I never could get good results with. So I guess 1500 usd for the pro x-rite is the way to go, if you really want best results. I think that's more or less standard to. Although I haven't had a need as of yet, I have a colormunki design, which is the predecessor to what they now call the i1Studio. 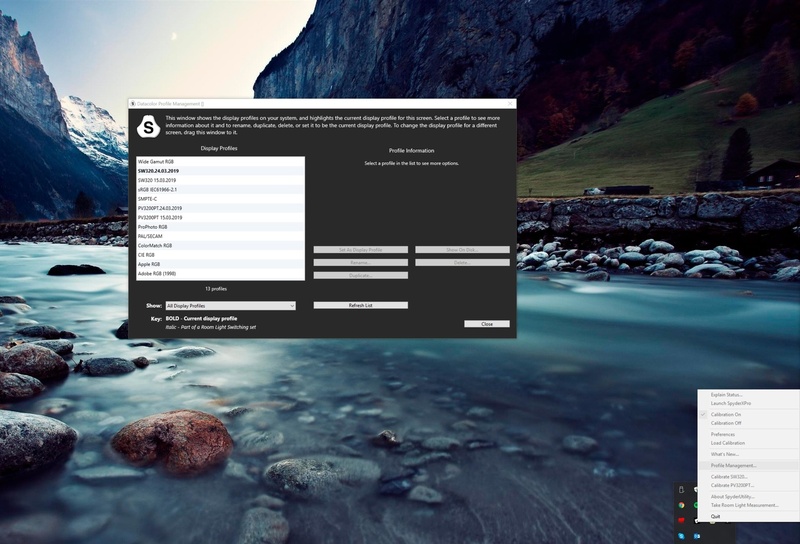 It allows you to make an ICC profile of a printer so you can emulate the print color and density onscreen, as best as your screen can handle. If you work regularly with a bulk printer you could make ICC profiles of their printers so you can optimize your adjustments for them. There's other calibration options as well. If you have a Datacolor I don't know if it gives you that option. 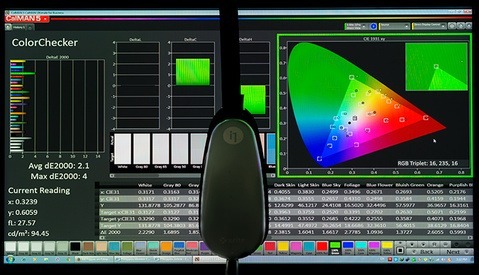 better solution would be a spectrometer from xrite, the cheapest might be the ColorMunki Display, same hardware as the i1pro display and use displayCal. the software from xrite and datacolor is horrible. displaycal is opensource and not as limited. One are I would think this is essential would be anything involving collaboration. More than one person/system working on a composite, video, series of ad’s etc. Could you imagine watching a digital animation and everytime a seen was made by a different person “Shreks” green colour shifts! Important to remember this really only has value for print. If your main medium is the web and it looks good on both your monitor and your phone, it's as good as it can be. Like others have said, you have no control over the viewing medium on the other end. Calibrating can actually make your web images look worse. I've used ColorMunki for 10 years. Is ColorMunki considered outdated? Are the newer calibrators better?